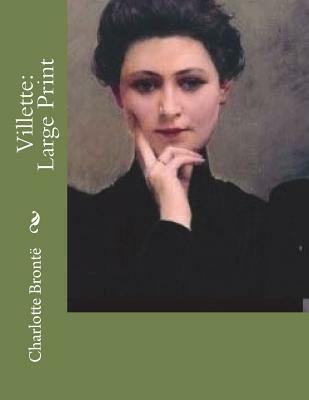 Villette by Charlotte Bront Charlotte Bront 's final masterpiece powerfully portrays a woman struggling to reconcile love, jealousy, and a fierce desire for independence. Having fled a harrowing past in England, Lucy Snowe begins a new life teaching at a boarding school in the great capital of a foreign country. There, as she tries to achieve independence from both outer necessity and inward grief, she finds that her feelings for a worldly doctor and a dictatorial professor threaten her hard-won self-possession. Published in 1853, Charlotte Bronte's last novel was written in the wake of her grief at the death of her siblings. It has a dramatic force comparable to that of her other masterpiece, Jane Eyre, as well as a striking modernity of psychological insight and a revolutionary understanding of human loneliness. We are delighted to publish this classic book as part of our extensive Classic Library collection. Many of the books in our collection have been out of print for decades, and therefore have not been accessible to the general public. The aim of our publishing program is to facilitate rapid access to this vast reservoir of literature, and our view is that this is a significant literary work, which deserves to be brought back into print after many decades. The contents of the vast majority of titles in the Classic Library have been scanned from the original works. To ensure a high quality product, each title has been meticulously hand curated by our staff. Our philosophy has been guided by a desire to provide the reader with a book that is as close as possible to ownership of the original work. We hope that you will enjoy this wonderful classic work, and that for you it becomes an enriching experience.